Messenger marketing is being touted as the next big thing in marketing. You might see a lot of fuss telling you to get on it now as it’s predicted that everyone will be using chatbots sooner or later. It might seem hyperbolic to say that messenger chatbots are the future of marketing but it’s not as far-fetched as it might seem. Did you know that messaging apps are where your customers are most likely to hang out? Or that the number of active users on messaging apps have surpassed those using social media apps? 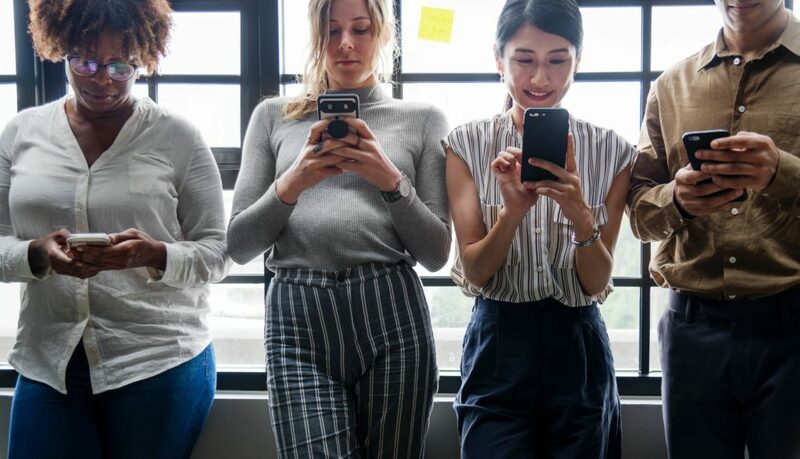 It’s always been true of traditional and digital media that you must meet your customers where they are, and messaging apps are the place to be. So, what is Manychat? Manychat is a Facebook Messenger chatbot builder. You can send out mass messages similar to email newsletters but much more interactive. Automated messages can keep a potential customer chatting with your business until a real person can jump in and answer more detailed questions. In Manychat, you can build a subscriber list just like with email. You can sort your audience with public information they’ve already given facebook such as gender, age or birthday. You can be clever and set up custom fields to categorise your subscribers according to keywords or answers they give in your Facebook Messenger conversation. Know that a segment of your customers previously asked about a particular product, and their birthdays are next month? Why not send them a birthday voucher? You can get even more creative and build games with Manychat to entertain your database, and offer prizes and deals. If you can think outside the box, there is no reason why your chatbot can’t be personal and fun. We recently launched a a Facebook Messenger competition powered by Manychat to bring in new leads for a client. A simple and fun competition that offered a big reward to the winner. The trick was to also offer a smaller reward to every entry, giving each lead a stronger chance to become customer. The best thing is that all these messages were automated! 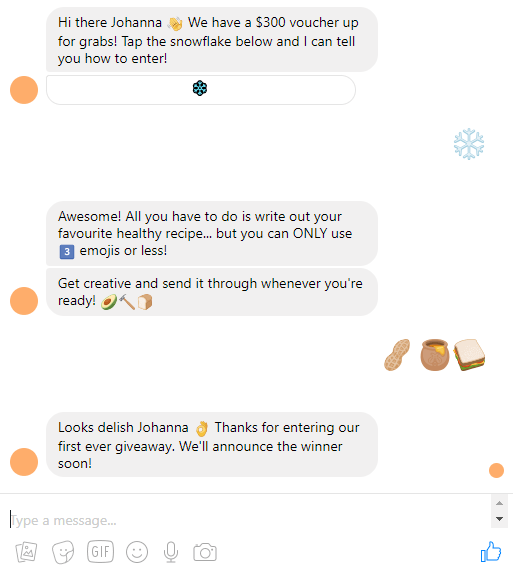 There wasn’t anyone copying and pasting each message to everyone who entered. Just one clever chatbot. Messenger marketing is a great way to save time and money but still provide an interactive and personalised experience for your audience. You can always jump in as well and chat one on one with your customers. Since discovering Manychat and the power of messenger marketing, we’re currently concocting new and engaging ways of generating leads. Personality quiz anyone? We now offer chatbot marketing as one of our services, so don’t hesitate to ask us about it!